Moving is a major project—whether you are heading just down the street or to the other side of the world! Regardless of the distance of your move, you still need to go through your current home and sort, clean-out, and pack all of your belongings. The kitchen is one of the most-dreaded places for homeowners to organize and pack for a move simply because of the amount of small tools and supplies stored there—with silverware topping the list of challenging items to secure for transport to a new home. 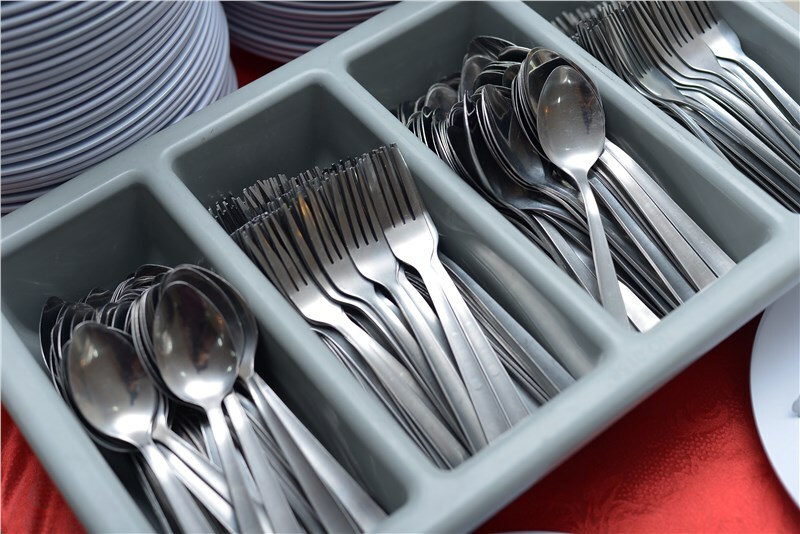 At Liberty Movers, we believe in thinking outside-the-box in order to have a moving experience that is stress-free, which is why we’re excited to share our silverware packing hack! With a few simple steps and supplies that you probably already have on hand, you can pack up your silverware drawer and cross one more item off of your moving to-do list. 1. Prepare Your Moving Box: You want to use a sturdy moving box that is large enough to fit the entire silverware drawer inside for this project. Get the box ready for packing by placing crushed packing paper in the bottom for some extra cushion. 2. Wrap-Up the Tray: Now it’s time to get down to business! There are two products you can use to wrap your entire silverware tray and keep your utensils organized: packing paper or plastic wrap. If you are using plastic wrap, simply guide the wrapping securely around the entire silverware tray multiple times to secure the items for traveling. With packing paper, you will wrap the tray like a present with a few layers of the paper, and then secure the entire thing with tape. 3. Put it All Together: With your silverware secure, it’s time to load-up your moving box. Place the entire silverware tray flat within the box to make sure that it stays in place, then use more crushed paper to fill-in the gaps and prevent damage. 4. Secure the Box for Transport: Once your tray is secure and nestled in the crushed paper, tape-up the box and clearly label it so you know where your kitchen supplies are once you get to your new home. Your silverware is now ready to be loaded into your car or the moving van! Using the moving boxes, household supplies, and items you already have in your home can turn a frustrating packing task into an easy, simple hack for protecting your belongings, and Liberty Movers is here to help you have an exceptional moving experience—right down to the smallest details. Learn more tips from our local movers today by giving us a call, or request a free, no-obligation price quote for your relocation by filling out our simple, online form!